Please only call the Head bailiff for the lock code for Pyscodlin Mawr Pond between 8.00am and 6.00pm. Calls will not be answered outside of these times. If you require the code, ring the day before and not early hours the same day. Dow have advised that there will be no Parking in the South Gate Car Park by Carols Pond Entrance from the end of March to late May 2019, which is due to shutdown works taking place in the plant. On this basis DO NOT park in Dow's Car Park for this period but use the Wimbourne Road gate entrance to the Club car park alongside Sues Pond. When parking is again available in the South Gate Car Park, at all times, Members must only use designated Parking bays and under no circumstances are Members permitted to park alongside the fence. Please also ensure that when you go down to the Pond, you leave a contact number on your dashboard and where you are fishing, which is part of the security requirements for the site. Pegs 14, 15 and 28 are available for the 48 hour Event anyone interested please Text 07804 097857. Llantrithyd will be closed tomorrow 8.04.19 till 9.30am. As from the 31st of March new rule of only barbless hooks must be used on our waters. Please don't forget that as of today you need a Glamorgan angler’s license. Anyone caught without one will be asked to leave our waters. Llantrithyd will be closed until 9am Tuesday 2nd April. Please be aware that Pike Fishing on all Club Waters with the exception of Cardiff Bay closed March 31st. Forms should be ready by 1st week in April. If you are unavailable for the event, please let me know ASAP. Text 07804 097857. 13th April – 24 Hour Carp Competition on Treoes Pond. There are 25 available places for all Club Members who would like to book a place on this event. Please contact Darren Hatchett on 07815 869675 (after 6pm). Fishing is book in 8am Saturday 13th April, fish 9am to 9am Sunday 14th April. Please book your place prior to turning up at the event. 25th April – Disabled Competition on Treoes Pond. To book a place and for further details, please contact Amanda Joseph on 07837 130351 (After 6pm). This event is open to all Club Members who hold a Disabled Permit. 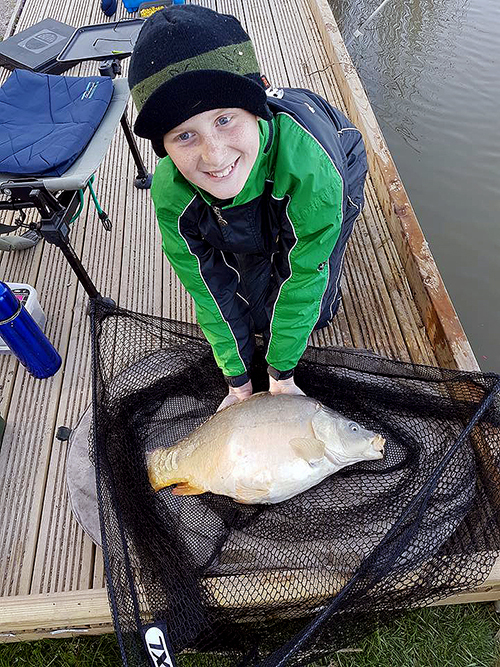 27th April – Junior Competition on Gribbles Covert Pond. To book a place, please contact Andy Hoare on 07543 216986. Book in at Midday, fish 1pm to 4pm. This Competition is open to all Junior Members, everyone fishing will get a prize and a hot dog. The annual Bryn Hedges pike competition was held at Groesfaen on Sunday 10th March. Thanks to all who competed and congratulations to Dave Carnell who defended his title with a lovely fish of 11lb, caught on a legered lamprey section. Following the emergence of what appears to be a sustainable head of pike at Treoes, the committee has decided to permit pike fishing to commence at this venue from 01st October 2019. As for other venues, fishing will run until 31st March. Pike fishing will be allowed with up to 2 rods and will be with deadbaits only. Artificial lure fishing will not be permitted, however you may use sink and draw tactics. To pike fish, you must use a landing net of minimum 36 inches diameter, wire traces and suitable sized unhooking mats. You must also be in possession of suitable unhooking equipment - forceps etc. To assist with our assessment of the viability, all pike catches must be recorded on the club catch return page of our website. We will review this decision at the end of the fishing period. Pike in particular are susceptible to poor handling, so please ensure all pike are treated with considerable care when handling and returning them to the water. The night group membership is now full. You can still apply to be on the waiting list, to do so you have to send your details to the membership secretary. Llantrythyd lake will be closed on saturday 2nd of March for a work party. Volunteers are welcome. 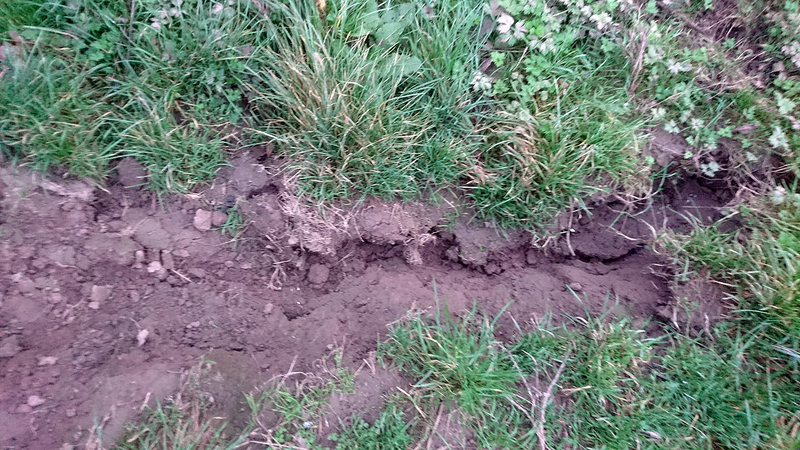 The Club will be holding a work Party at Llantrythid on Saturday 2nd March. If anyone is available, then please either let the head bailiff know or the Club Secretary. Start st 9.30. The work is to cut back the encroaching blackthorn trees, so if you have any bow saws or tree cutters, please bring them along. Bacon rolls and drinks will be provided. This year’s Pike Cup Comp will be held at Bishops Pond, Groes Faen, on Sunday 10th March. NRW Survey to Anglers in regards to the possibility of reviewing the Rivers Close Season for Coarse Angling. You will be aware we have examined the evidence around the river coarse fishing close season and, earlier this year, surveyed anglers’ opinions on retaining, changing or removing the close season. We agreed with England Fisheries Group to consult more widely with the angling community. · Remove the close season altogether. The consultation will be online for 8 weeks from today (14 January) to 11 March 2019. It can be accessed at https://consult.environment-agency.gov.uk/fisheries/consultation-on-the-review-of-the-close-season. We also have arrangements to receive for email and postal responses. Gribbles covert pond will be closed for maintanance on thursday 27th January. Keys No. 802 and 811 issued by Garry Evans shop have not been credited to a membership – because they didn’t record them. Please could you check your key numbers and if you have either of the above please phone: Paul Addicot – club secretary 07804 097857 or Brian Dickman – Head Bailiff. 07510 223621. Give your name permit or Id number + key number. Thank you M Roberts Membership secretary. Pyscodlin Mawr – NRW Survey 14 01 19. Would any members who intend fishing Pyscodlin Mawr on 14 01 19 please be aware there will be disturbance around the Banks whilst NRW conduct a survey. The Club would like to thank all the Members who supported the Charity Event on Treoes Pond. A total of £410.00 was raised for Myeloma Research, in memory of Albert Smith. 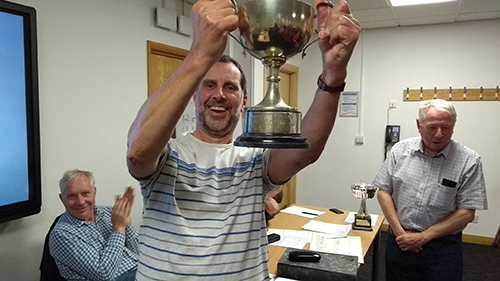 Congratulations to Kevin Sullivan, who won the competition and the Albert Smith Memorial Cup, which was kindly donated by Jon Taylor. Kevin also receives a years Club License. New Years Eve Charity Event. Would all Club Members please be aware that Treoes Pond is closed on New Years Eve for a Charity Event. If any Club Member, Senior or Junior would like to take part, there are 3 places available. Just text 07804 097857 to book a place. £6 entry which will go to Myeloma Research in Memory of Albert Smith. Well, another year is soon to come to a close and for many of us as it gets to the coldest months, the gear is put away until the warmer weather returns. 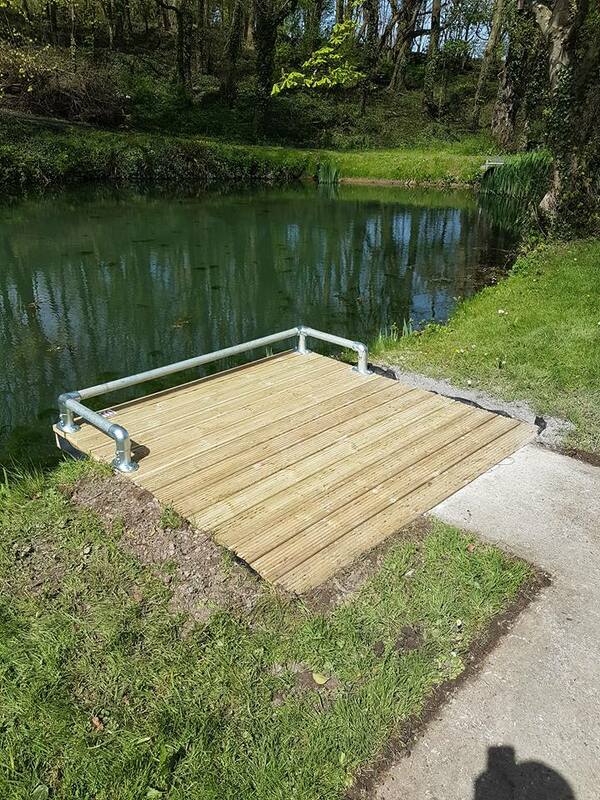 As usual the Club has invested a large amount of funds this year in maintenance of our still waters, fish stocks and at last we have the materials ready to start upgrading fishing pegs on the Clubs Wye stretch at Monmouth. 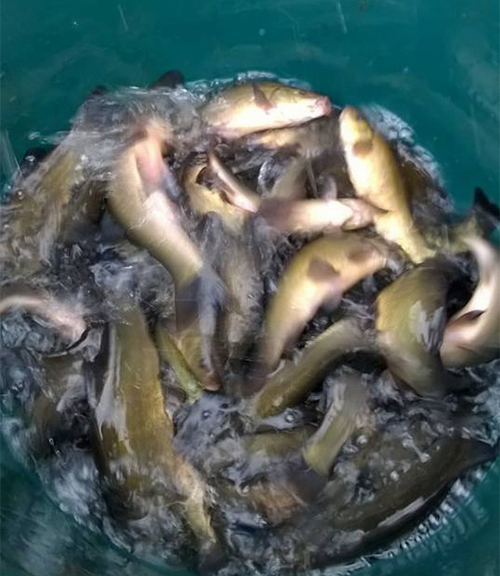 Only this week our head Bailiff has released 500 Barbel, 500 Tench and 300 Ide into Carols Pond, Barry, as a stock top up. Let’s hope the Ide do well and offer yet another species you can target throughout the year. For those of you who will brave the cold weather, Treoes will offer excellent silver fishing as the Juniors recently found out on their Xmas Competition. Llantrythid seems to be fishing very well in the cold weather and Gribbles as always will offer you great winter sport. Pike Anglers can target St Y Nyll Top Pond, Bishops Pond and Sues Pond Barry, which do hold decent size Pike in all of them. I am sure the Carp anglers will get some decent days in the milder days on most of our waters. So it is good luck to every one of you that venture out this winter and don’t forget the Wye and Trothy can offer excellent winter river fishing, along with Grayling hunting on the Taff. May I, on behalf of the Club and it’s Committee wish everyone a Great Xmas and New Year. New Years Eve Charity Competition. For all those booked on the New Year’s Eve event, please book in at Treoes Hut at 8am to draw pegs, fish 9am to 2pm. £6 entry and there will be a raffle. If you have any raffle prizes please bring them along. All Club rules apply. No surface fishing for this event please. There are only 2 places available for this year’s New Year’s Eve Charity Comp. if anyone would like to take part, please text 07804 097 857. Treoes pond will be closed all day on Tuesday 13th November for essential work..
Treoes pond will be closed on the 30th from dawn till 9.30 am . Due to unforeseen circumstances, we have had to cancel the Bryn Hedges Pike Cup Comp on 11 11 18 and will reschedule in the New Year. Treoes pond will be closed on Friday 26th from dawn till 9.30 am . Releasing some of the roach we have bred for the Taff roach project. With immediate effect drop shotting or lure fishing is not permitted on Treoes Pond. Well done Ken Morris, this years Wye Cup Champion. Pegs 1 to 15 on Sues Pond Barry will be closed Sunday 14th Oct for a coaching event. Sunday 14th October, anyone want to learn about Pike Fishing? 10am, sues pond, Barry. ID PHOTOGRAPHS. PRESENT MEMBERS TAKE NOTE AND READ THIS!!! As you should all be aware this year we have instigated a procedure to put photographic recognition on our permits. This was to prevent the lending of permits and the fraudulent use of any lost permits. Due to problems with the software there was some confusion around this process early in the year but it was soon resolved. Of all the 800 or so applicants this year almost 90% of you sent in photos with your application or after a reminder. Thank you for your cooperation. However, quite a lot of you didn't – even after a reminder!! Below is a list of ID numbers, you can find these on your permit, who have NOT sent in a passport type ID photo as yet. There are others who sent in photographs from the family album and even one taken by flash in the dark which are not acceptable. If your picture is one of these send in a new photo. If not I will put a note in your permit requesting a better photo. [Dark/Coloured backgrounds etc make processing difficult and waste ink]. ID numbers who have not sent in an ID photo. – CHECK YOURS!! 21. 255. 382. 483. 748. 921. 1056. 1385. 1424. 1564. 46. 263. 419. 509. 769. 922. 1077. 1386. 1439. 1600. 220. 275. 426. 606. 802. 935. 1132. 1389. 1458. 1623. 224. 276. 432. 663. 847. 968. 1149. 1397. 1499. 1648. 246. 283. 442. 699. 886. 1045. 1341. 1399. 1542. 1702. 253. 379. 456. 721. 916. 1046. 1365. 1401. 1559. If I do not receive a photo from any of the above applicants prior to, or with their application. Their application will not be processed it will be returned. Check and make sure. If you are on the list, send in your photo to the membership secretary with your name and ID number on the back ASAP. Remember : NO PHOTO – NO PERMIT!! You have been warned. Thank you for your cooperation. Mick Roberts, Membership secretary. Pike Fishing on Club waters starts 1st October. Please ensure you have the correct unhooking Equipment. Update: All the spaces for the wye cup are now taken. Sunday 14th October, the Club will be holding a Pike Fishing session on Sues Pond, Barry for anyone who would like to learn about Pike Fishing. The Session will be 09.00 to 15.00. If you want to book a place, please text or call 07804 097857. Sues Pond will be closed for this event. Please be advised that peg 24 on Treoes Pond will be closed to Members on Monday 17th Sept. This Years Wye Cup will be held on Sunday 30th September on the Clubs Monmouth Stretch of the Wye. Book in at 8am at Dixton Church, fish 9am to 4pm. 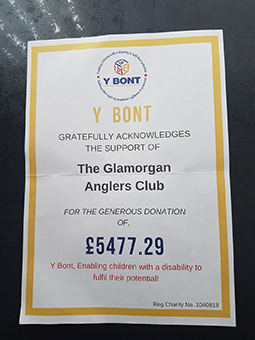 Every year the money raised from our 48hr event goes to Y Bont which is an independent local Bridgend based charity that provides comprehensive support and information to families of a child with a disability or complex medical condition. Over the years The Club has raised around £30k for the Charity. Due to the recent drought, the Dads and Lads Competition was postponed. The rescheduled Competition will be held on Treoes Pond, Saturday 20th October. To everyone who supported the Club Members taking part in this year's 48hour Charity Event, a big thank you. As you can see the total was very close to five and a half thousand pounds, which is by far the most raised on any Club event. Junior Competition- Gribbles Covert Pond. There will be a Junior Competition on Gribbles Covert, Saturday 1st September. All Juniors are welcome. Book in midday fish 1pm to 4 pm. The Albert Smith Cup. Club Competitions on all our waters will resume on the 1st September. The Club would like to thank all our respective groups for their co operation during the Summer drought. As of tomorrow morning the 23/8 Llantrithyd shall be open for fishing, again until further notice no weighing of fish or pics please, return them Asap. If any Club Junior would be interested in taking part in a South Wales Junior Match, please contact the Club Secretary. As of tomorrow the 20/8 The club stretch of the Wye (Monmouth) shall be open for fishing, but the committee have decided that the fish shall not be weighed or photographed until further notice, please return the fish asap, also please remember to take your memberships and rod licenses as you will be asked to leave if you are missing either, tight lines. From mid August there will be light fencing erected on the land between Carols lake and the Dow Corning main site entrance road and to be aware of possible occasional traffic using the track between Carols and Sues lakes. Just a reminder that when using the catch report form it is important to record cormorant sightings on all our waters as the statistics are vital in our efforts to gain support to control them! Saturday 18th August will be the Junior Dads and Lads and Lasses Competition at Treoes Pond. All juniors are welcome. For details, please contact Andy Hoare. Book in at Midday, fish 1pm to 4pm. Competition pegs will be identified. All other pegs are open to Club Members. Members please be aware that as from saturday morning Llantrithyd will be closed until further notice, due to low water levels the locks shall be changed. Pyscodlin Mawr Pond will be closed from midnight Friday 27th July to 9am Sunday 29th July. Junior Competition, Llantrythid Lake Saturday 28th July. Please be aware, Gribbles Covert Pond is closed with immediate effect. This is due to the low oxygen and high levels of algae. There will be a work party at Treoes Pond on Saturday 21st July, between 9am and 2pm. Members are advised that there will be a great deal of noise disruption and there will be people working in the water. If anyone would like to volunteer, just turn up at Treoes on Saturday Morning and bring chest waders. Next weekends marmite cup competition on treoes has been postponed due to weather conditions. 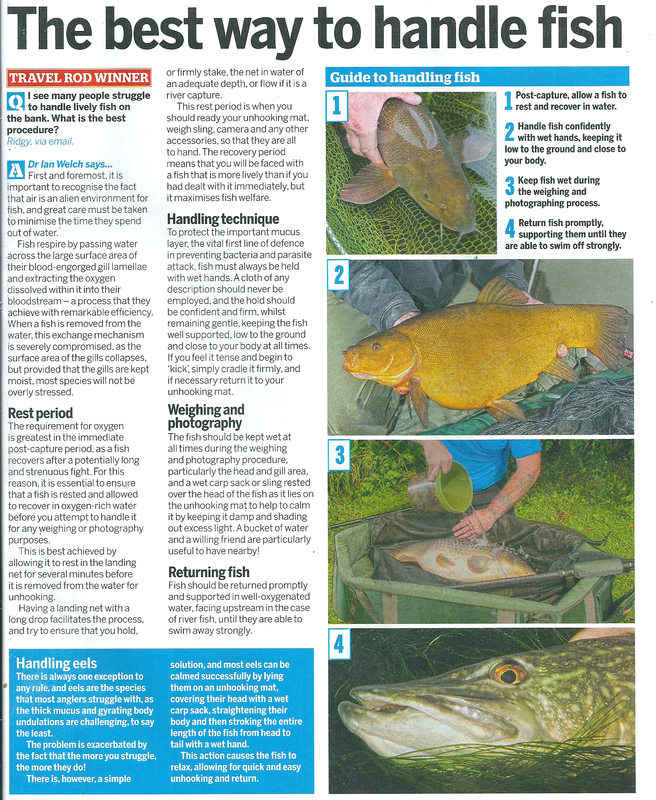 We have been asked by our Head Bailiff to request that any fish caught no matter of size or species ate immediately returned to the water and not left out of the water for photographs. This is obviously due to the low oxygen levels at present. Parking for Carols Pond – Dow Corning. Would all Club members who intend to fish Carols Pond, please note that Dow Corning have requested that when you leave your vehicle in the Dow Corning Car Park by our access gate to the pond, please leave a contact number you can be reached on in your windscreen. This request has been made by Dow Corning as part of their Emergency Procedures Process. Could you also please ensure that you park in a parking bay and not on the access roads. Up and Coming Events for July. Thursday 5th July - Disabled Group Comp - Treoes Pond. contact Amanda Joseph on 07837 130351. Saturday 7th July - Junior Comp - Sues Pond. book in at 12, fish 1 - 4pm. Contact Andy Hoare on 07543 216986. Saturday 21st/ Sunday 22nd July - 24 Hour Carp Comp (Marmite Cup) - Treoes Pond. Fish 9am sat to 9am Sunday. For details contact Darren Hatchet on 07815 869675 (After 6pm please). First and foremost, the Club would like to thank everyone who supported the 48 Hour Charity Weekend. Although the weather was incredibly hot and in some cases uncomfortable, all the Members who took part in the event kept smiling and we hope, enjoyed the 48 hours. 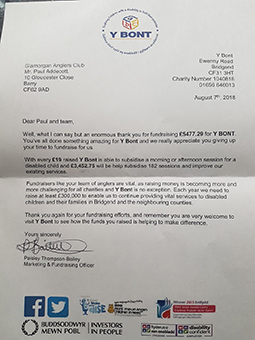 We are very pleased and extremely grateful to advise that this year, we raised the highest amount ever for our chosen Charity – Y Bont, which stands at the moment at £4750.00. 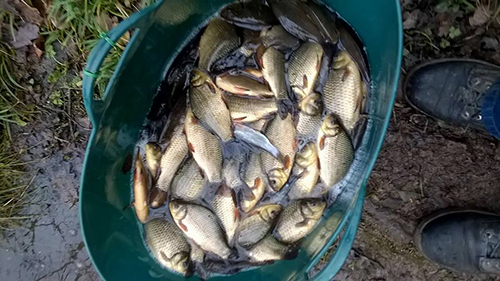 The total weight that was reported was 2607lb, which included 4 x Carp over 20lbs and a 19lb Grass Carp. Just a reminder see that 2 weeks from today will be the Clubs annual 48 hour Charity Event on Treoes. Please be aware that Treoes will be closed for the duration of this event. Closure is midday Friday 29th June to 4pm Sunday 2nd July. All Club Members are most welcome to come along and support the competitors over the weekend. Pyscodlin Mawr Work Party. Saturday 9th June. There is a work Party on Pyscodlin Mawr Pond this Saturday, 9th June. Any volunteers, who would be able to help, please call the head bailiff to confirm your availability. 9.30am start. Pyscodlin Mawr Work Party. UPDATE!! The work party that will take place at Pyscodlin Mawr Pond will be Saturday 9th June. Any Club member who can give a couple of hours of their time please call the head bailiff or just turn up. 09.30 start. Members please be aware there will be a lot of noise disruption. Any Club members who would be available to attend a Work Party at Pyscodlin Mawr Pond, would you please contact the Head Bailiff for details. (His Number is on your License). There will be a Senior Match on Llantrythid on Sunday 3rd June on Llantrythid lake. The Lake will be closed to Club members for this event. There will be a Junior Competition on Carols Pond Barry on Saturday 09 June. Pegs 1 to 18 will be reserved for this event. Pegs 19 to 25 are available to Club Members. St Y Nyll Top Pond will be open for Fishing as of the 1st June. 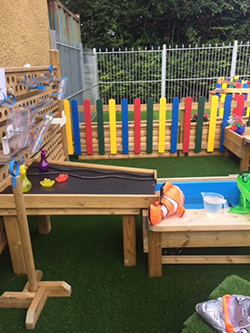 There will be Pegs available for Club members who wish to fish the pond. Pyscodlin Mawr Pond will be closed all day Saturday 19th and until 9am Sunday 20th May. Gribbles Covert Pond will be Closed from 11am Saturday 26th may to 5pm same day for a Junior Competition. No Members not involved in the Junior Competition will be permitted on the Pond during this time. Would all members who wish to night fish Llantrythid please be aware that due to the popularity of this water, along with parking restrictions, the maximum number of vehicles permitted on any given night is 3. When NFG members book on to the water with the Head Bailiff, you will be advised if there is available parking. Obviously if two or three members wish to car share, this will be fine. If you are intending to fish more than a single night, you must put your vehicle in the old car park. This is to ensure that there is parking for non N F G members as much as possible. GAC AGM is this Thursday 17th May at the Sports Centre for Wales, Sophia Gardens Cardiff. Start at 7pm. Members who attend will be able to exchange their keys ready for the Club Lock change on Saturday 19th May. If you do intend exchanging your key, please ensure you have your club license with you. Would all anglers be aware that Llantrythyd lake will be closed tomorrow 11th of May till 10.30am. Sorry for any inconvenience. A big thanks to Head Bailiff Brian for his hard work sorting the wheelchair priority pegs st Gribbles Covert. There is still a bit of work to be done on a couple of the existing pegs on the road bank, but that should complete tomorrow. Llantrythid and Gribbles Covert wheelchair access pegs. The two wheelchair priority pegs at llantrythid will be completed and ready for use by the end of 23rd April. Would all members please now be aware that Brian will be starting work on the 3 Wheelchair access pegs at Gribbles covert pond as of Tuesday 24th April which will mean noise disruption, whilst the 3 platforms are upgraded and peg 5 will also be extended. The work should be completed by Tuesday 1st May. 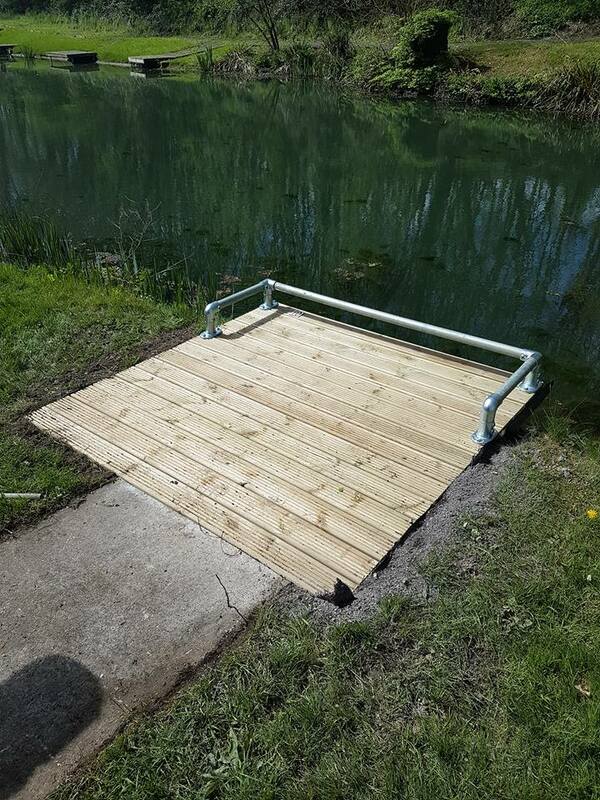 Brian will then be upgrading a wheelchair access peg at Bishops Pond. Campaign for the Protection of Rural Wales. We need as a many people as possible to sign this petition, you don’t have to be a Welsh resident. The issues of pollution from chicken farms is not unique to Wales, anything we can do to get more controls on the disposal of waste should be reflected across the whole of the UK, you can read more by clicking the links below. Would all Members please note that Sues Pond is Closed from 07.00 Saturday 21st April to 09.00 Sunday 22nd April for the first of this year’s 24hr Carp Competitions. 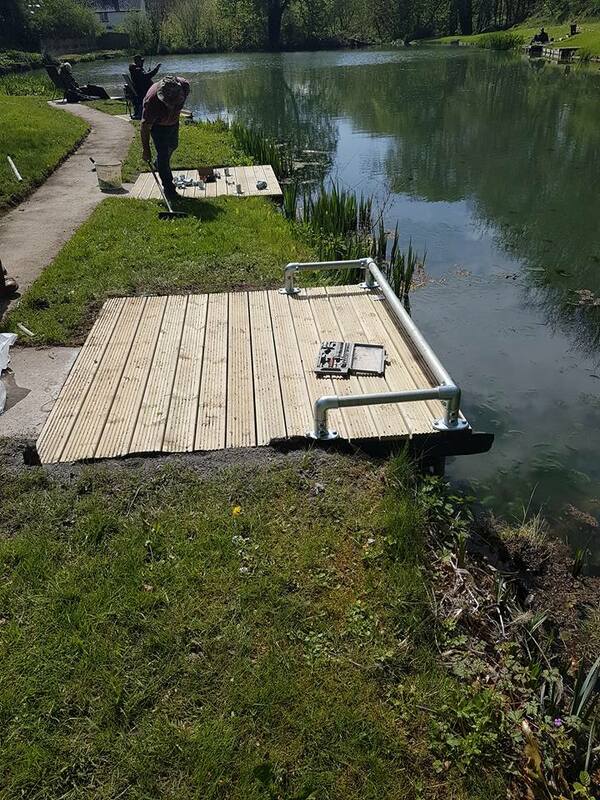 Would all member please be aware that as of Wednesday 18th April, there will be Noise disruption at Llantrythid Lake for approximately 5 days, as Brian will be installing the two Wheelchair access pegs. We apologise for any inconvenience caused. (The pegs will be located on the Car Park Bank near the island). Just a reminder that the AGM is Thursday 17th May, at the Sports Centre for Wales, Cardiff. If anyone does have any items for discussion, could you please email to the Club Secretary secretary@glamorgananglersclub.co.uk ASAP. You can also exchange your Club Key for a New Key at the AGM. Disabled Group Competition – Treoes – Thursday 26th April. The first of this years Disabled Group Competitions will be at Treoes on Thursday 26th April. Any Club member who has a Concessionary Disabled License is welcome to enter the Competition. Members please be aware that at anytime you may turn up at Llantithyd, Treoes or Bishops between dawn and 9.30 am and find a sign on get saying pond closed, please observe this, don't enter or rattle the gates we are working to protect the ponds from vermin, we are sorry for any inconvenience but this has to be done. The toilet unit at Treoes will be out of action for approximately 10 days from Tuesday 3rd April. There are still 3 available places for this years Charity Event at Treoes Pond. If any Club Member would like to take part, just text 07804 097857 or email secretary@glamorgananglersclub.co.uk to book a place. Members are reminded that they must be in possession of the 2018/19 season Club License on all Club Waters as of Sunday 1st April. Club bailiffs will be checking all Club Waters over the weekend. Unfortunately due to circumstances beyond the Clubs Control, the proposed Disabled Angling day on July 21st has been postponed for the foreseeable future. The First of this years Junior Competitions will be held on Saturday 28th April at Gribbles Covert Pond. All Club Junior Members are most welcome and as always, every Junior who takes part in the Competition will receive a prize. Also Hot Dogs will be provided after the Competition. For Further Details please call or Text Andy Hoare on 07543 216986. Please note Gribbles Covert Pond will be closed for this event. The initial 24 Hour Carp Competition Series kicks off at Sues Pond on the 21st April. To book places, please contact Darren Hatchett on 07815 869675 (after 6pm). These 24 Hour Competitions are open to all Club Members and provide the opportunity to fish overnight on Club Waters. Juniors are also welcome, as long as they are accompanied by a Senior Club Member. All club rules apply. Please note that Sues Pond will be closed Saturday 21st to 09.00 on Sunday 22nd April. 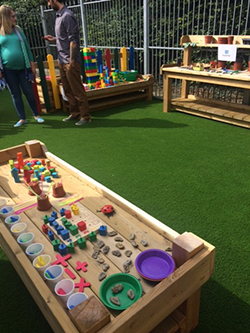 Spring and summer newsletter available to download now. 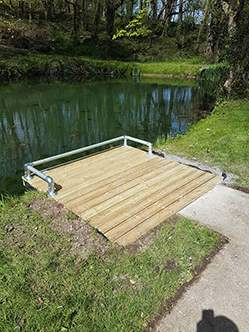 These pegs are designed to accommodate wheelchairs, but obviously are available for all members to use unless a Disabled Group Event or a Wheelchair Angler requires the access. Click here to view an artical about Cardiff bay Barrage PDF. The far bank at Gribbles wiill open for fishing on the 1st of April. Just a quick reminder that Pike fishing on our waters ends 31 march. 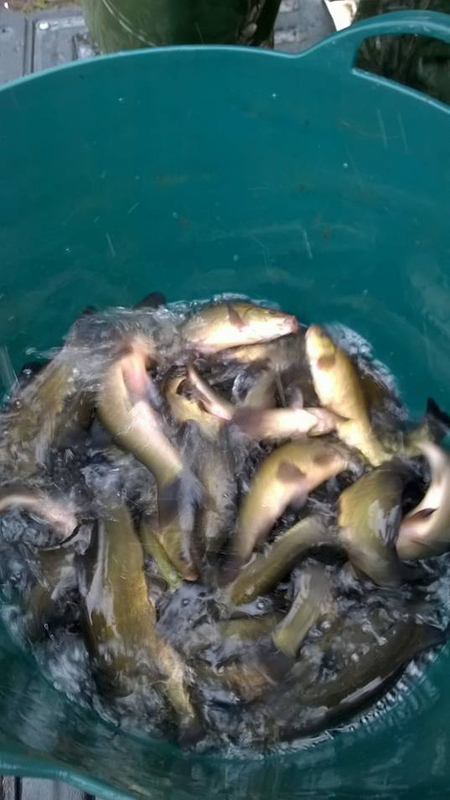 24 Hour Carp Competition – 21 04 18 – Sues Pond, Barry. This years 24 Hour Carp Competitions commence on Saturday 21st April at Sues Pond, Barry. The Competitions will be run and organised by Darren Hatchett, who can be contacted on 07815 869675 (after 6pm Please). The 24 Hour Carp competitions are open to all Club Members and provide an opportunity to have a go at overnight Fishing. Juniors are most welcome as long as they are accompanied by a Senior Member. Spaces are limited and are on a first come, first served basis. Entry is £5 per Angler. Prizes for Heaviest Bag and Best Fish. Due to persistent fly tipping and equipment theft, the Club has no choice but to alter the way we access Pyscodlin Mawr Pond. With immediate effect, a combination lock will be put on the gate at Pyscodlin Mawr, which the Head Bailiff will have the code. If you want to access the pond and use the club Car Park, you will need to ring the Head Bailiff for the combination for the lock. Please do not ring before 8am or after 6pm. Brian will ask you for your name and current license number which will be checked against an up to date membership list, plus the names of anyone else in your party that will be on the pond. Club Bailiffs will be provided with members names who have booked on the pond for their license checks. Obviously this also applies for NFG Members who wish to overnight on the pond. We do apologise for the inconvenience, but we must protect not only our access, but more importantly our lease on the water. We know the current bylaws from NRW are not of concern to the coarse anglers. However this is more than that it is a protest at the way NRW has ignored all anglers in the five years since it was formed. Please help us to make this worthwhile as it is only by showing we are united that the powers that be will take notice of us. One of the main things is NRW are still refusing to recognise the damage that Fish Eating Birds are doing to our stocks not just of Salmon and Trout but Coarse fish as well. WE all value our fishing we must pull together to protect it. 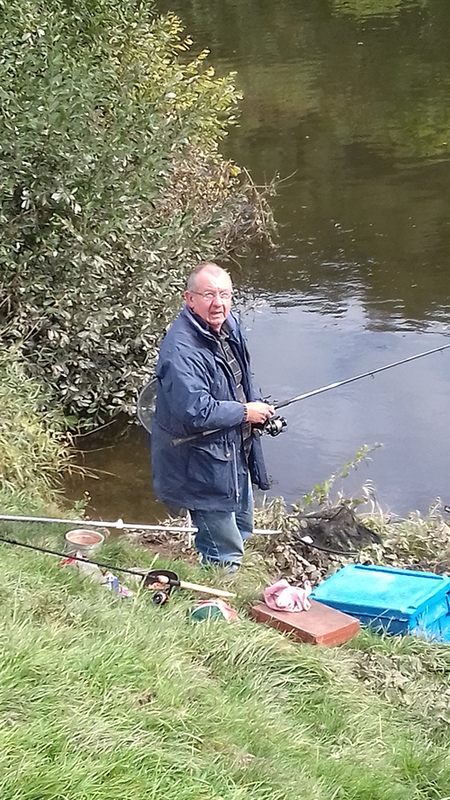 Following a meeting with their local AM, Betws Anglers were advised to raise a petition against the decision making process used by Natural Resources Wales during the proposed bylaw consultation. A petition has now been raised by Betws AC, and is now live. The petition can be found at https://www.assembly.wales/en/gethome/e-petitions/Pages/petitiondetail.aspx?PetitionID=1315 . We need as many anglers as possible to support this. This is a Welsh Government petition and depending on the support it receives will be considered by the WG petitions committee; this could result in a public inquiry on the way the proposed NRW fisheries bylaws consultation has been conducted. We need your support please forward this to as many anglers as possible – there are 4800 migratory fish licence holders in Wales and many more who fish Welsh rivers but live in England, we need them all to support us. 2018 Carp Team Wales Trials. The files below are Carp Team Wales trials application forms. This is open to any Club Member who wishes to trial for the 2018 Team. The Club is WFCA affiliated and anyone who would from the Club like to apply, we can supply you these details. Club Member Josh Bowley successfully made it on to the Team Wales squad and helped win Gold at the Home Carp Championship 2017. Would all members please be aware that there is work being done at Pyscodlin Mawr Pond this week. The works has been rescheduled primarily due to the weather conditions over the past few weeks and delivery schedules. Treoes Pond will re-open Sunday 18th Feb. The Club apologises for any inconvenience. Treoes Pond will close from Monday 5th February to Saturday 17th February for Maintenance. Brian will change the lock the evening of Sunday 4th Feb. This is to permit Brian and his team to do essential maintenance prior to the Spring. New stock delivery for one of our still waters. On behalf of my daughter Helen Fincham and myself would like to thank you for thinking of Helen and for Rob Crewes-rees, nominating her for your fundraising cause on new years eve. We can’t thank you enough for your support and donation of £456 towards Helens wheel drive wheels which will give her a little bit of independence on her own, as she is unable to manually push the wheelchair herself. We are ever so grateful to everyone involved. Well, another New Year’s Eve Charity event completed. Firstly, and foremost, well done to Claire Giddy, who won the comp with 19lb 8oz and wins this year's free Club License. Also, a huge thank you to all the Club members who turned up, as we had 30 Anglers taking part. A big thanks to Brian Brian Kieth Dickman for the beef stew and cooking the bacon rolls. Also thanks to Robert Crews-Rees, who nominated this year's worthy cause for which we raised a very impressive £465.00. Just a reminder that Treoes will be closed New Years Eve for the annual Charity Event. Firstly, and most importantly, the club would like to wish each and every Member a Merry Christmas and a Peaceful and Happy New Year. No doubt many of us will be waiting patiently for the big man in red to deliver that item of Fishing Tackle that you have hinted about for the last six months. Over the past 12 months the Club has managed to keep its membership stable, with this year over 800 members joining, which is not only great for the Club financially, but also it does mean on the whole, members are happy with the way the Committee are running the Club. We have been actively looking at Land for Sale within our area that would be suitable and within our price range to purchase as a potential new water. 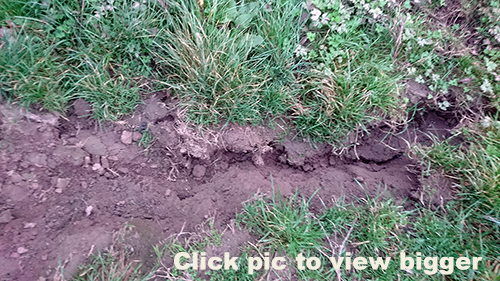 As yet, the right piece of land has evaded us, but not for want of going out to look at many potential sites. If any Member knows of, or hears of a possible site or better still a Pond or Lake that is available, please do let us know and we will ensure that your lead is followed up. There is a contact list on the web site. On New Years Eve, the Club is hosting its annual Charity Competition on Treoes Lake, which is open to all Club Members. There are, at the time of posting this message a couple of pegs available. To book a peg, text message 07804 097857. Book in at 8am, fish 9am to 2pm. We are this year trying to raise funds to assist a young lady from the Bridgend area to purchase a motorised Wheelchair unit. Entry is £5 per Angler and we will also be running a raffle. If anyone has a Raffle Prize they wish to donate, please either bring them along on the day or give them to any Club Official. If you do venture out over the Xmas period or during the Winter months, please take extra care as the bank sides will be slippery. It is always safer if you go fishing with a friend at this time of year. Please remember you can now renew your Club License for 2018/19. So, to everyone, have a great Festive Season and we hope to see you all on the bank sides in 2018. 5 anglers fished the annual Bryn hedges pike cup competition no the Monmouth stretch on the 3rd of December 2017. The winner was Dave Carnell with a single pike of 7lb. Is there any wonder why the salmon/sea trout/coarse fish stocks are so low. New Year’s Eve Charity Competition. This year's comp will be held on Treoes pond on 31st Dec 17. Any member wishing to book a peg, please text 07804 097857. Please do not leave messages on here trying to book. No problem for Juniors and seniors to share a peg. Entry is £5.00 per Angler. Book in at 08.00 Draw pegs and Fish 09.00 to 14.00. There will be a Raffle draw, so If anyone has any spare prizes, please either bring them along or give them to one of our Club Bailiffs. 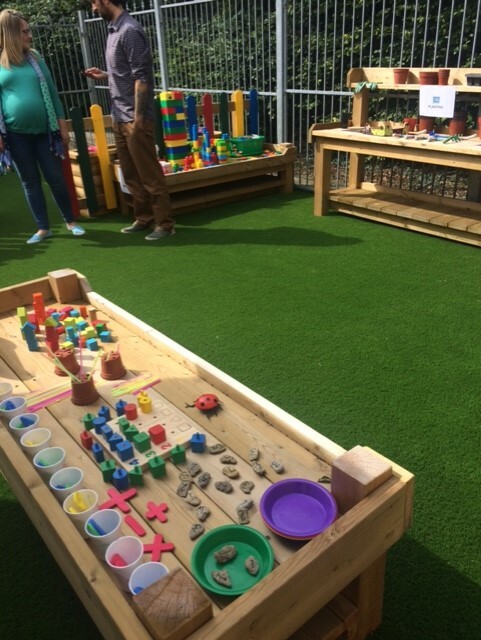 Junior Sandra Competition - Treoes Pond. This year's Junior Christmas Comp will be held on Treoes Pond on Saturday 9th December. This competition is open to all Club Juniors. All juniors will get a gift from Santa. For details ease call Andy Hoare on 07543 216986. This year’s Bryn Hedges Pike Cup Competition will be held on the Clubs Monmouth Stretch of the River Wye on Sunday 3rd December. If any member would like to enter, please either email secretary@glamorgananglersclub.co.uk or call 07804 097857 (after 6pm). 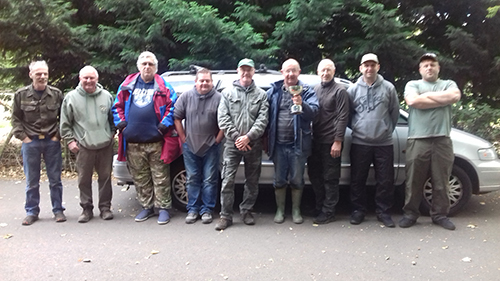 Six people fished the 2017 Wye Cup at Monmouth on 29th October. With reports of barbell showing throughout the summer, all anglers chose to fish for them. Winner was Richard Turner withy seven barbel for a total weight of 45lb 15oz with Dave Chard runner up with two fish, including a ten pounder for 17lb 13oz. In all, the potential of our Monmouth water was demonstrated with 11 fish caught and a number of others lost during the day. Thanks to all who attended, I hope you had a good day (I did!) and hope to see you at the Bryn Hedges Pike Cup in December and at next years' Wye Cup. The Club would like wish good luck Club Member Josh Bowley, who is representing Wales as part of the Welsh Carp Team in this weekend’s Home International Competition against England and Scotland at Linear Fisheries. The river Wye is unfishable this weekend and deemed too dangerous to hold the Wye Cup tomorrow. The Comp is rescheduled to Sunday 29th Oct. Same timings. Please be aware that Gribbles Covert Pond is closed all day for Maintenance on Wednesday 18th Oct.
As of Sunday 1st October 2017, Pike fishing is permitted on certain Club Still Waters. Please note: Blast Frozen Dead Baits only. Live-baiting is not permitted. If you are Pike Fishing Sues Pond, the 1 rod rule still applies. If you are lure fishing, please be mindful of other Club members fishing around you. All Pike must immediately be returned to the water and please ensure you carry the correct unhooking equipment with you. Unhooking mats must be used at all times. The Pike Fishing Season ends 31st March 2018. Bishops Pond, Groes Faen is Closed this Sunday 24th Sept for the Clubs Pike Fishing day. The Club have organised a Pike Fishing Session on Bishops Pond on Sunday 24th September for any Club Member who would like to have a go at Pike Fishing and learn the Basics. Places are limited to 12 and on a first come, first served basis. Fishing will be 9.30 to 2 pm. Would all Club Members please note that llantrythid is closed Saturday 7th Sept to 09.00 Sunday 8th Sept for the 24hr Carp comp. Gribbles Covert Pond – Ongoing works. Would all members please be advised that for a short time the far bank of Gribbles is closed to Fishing. This is to permit the newly spread grass seed to take root following the recent upgrade works. 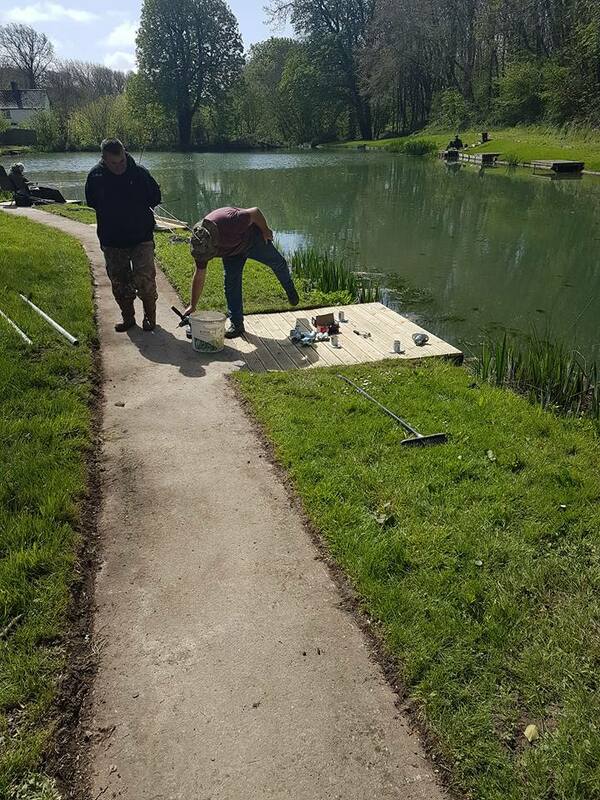 Would members be aware that the far bank pegs at Gribbles Covert will not be available to fish until further notice as the bankside work is about to be grass seeded and it will need a bit of time to establish itself, Sorry for any inconvenience. The Club have organised a Pike Fishing Session at Bishops Pond on Sunday‎ 24th September. This session is open to all Club Members who would like to be shown the basics of Pike Fishing. There are 12 places available on a first come, first served basis. The session will be 09.30 to 2pm. After careful consideration of our evidence and wishing to take full account of the views we have received during our engagements with customers and stakeholders, we are now proposing changes to fishing controls to the salmon and sea trout net and rod fisheries. Both processes began on 22 August 17 and runs for 12 weeks. All you may or may not have heard about the access consultation. I am attaching the details that MTAA are sending around as the heading states we really need as anglers to step up on this one. Access to open water can literary mean your pond. Please go to the link below and even if you do not write then please register on this link. Next Season Licence Membership Photos. As there is a change to membership cards for next season, would all members who are renewing their licence for next year please send a passport photo to the membership secretary. If any member has not already sent their photo it could mean a delay in how quick the licence will arrive to them. YBont official thank you to the club. 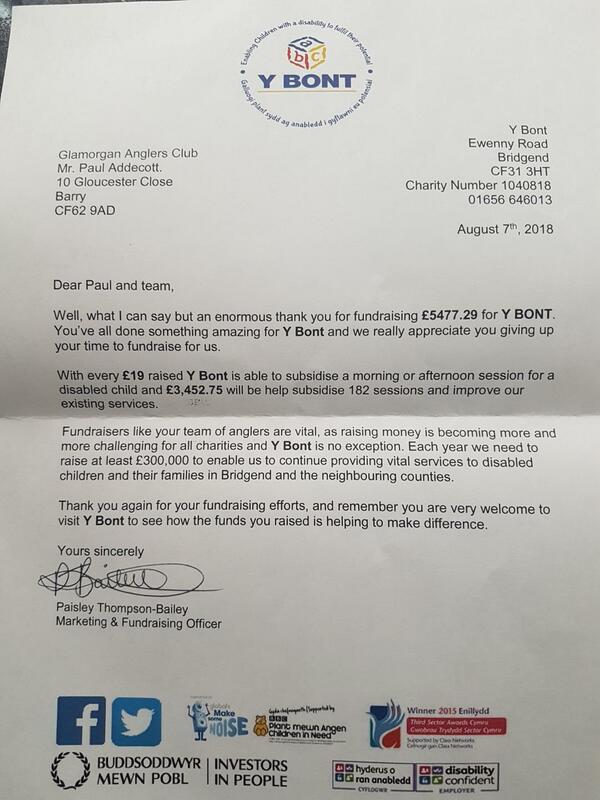 Ybont has sent us an official thank you for the fundraising that we do for them. Works will start Friday 21st July at Gribbles Covert Pond to try and address the constant leak around the far bank Dam area. The work should take a week to 10 days, in which time the Far Bank will be closed to members. Please see notices posted on the gate and Notice Board for up to date progress. Helen Fincham, 21, from Bridgend, Wales, assumed her discomfort was down to her having slept in a funny position. However, by midday she was unable to feel her legs. She thought she had suffered a heart attack when her arms went numb and she struggled to breathe. When paramedics arrived to her home they asked her to stand - but she collapsed and has been unable to move ever since. Doctors were left baffled but two months of tests discovered she had a rare neurological condition which caused her spinal cord to become inflamed. 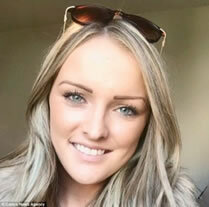 Helen Fincham, 21, from Bridgend, Wales, assumed her discomfort was down to her having slept in a funny position. However, by midday she was unable to feel her legs. 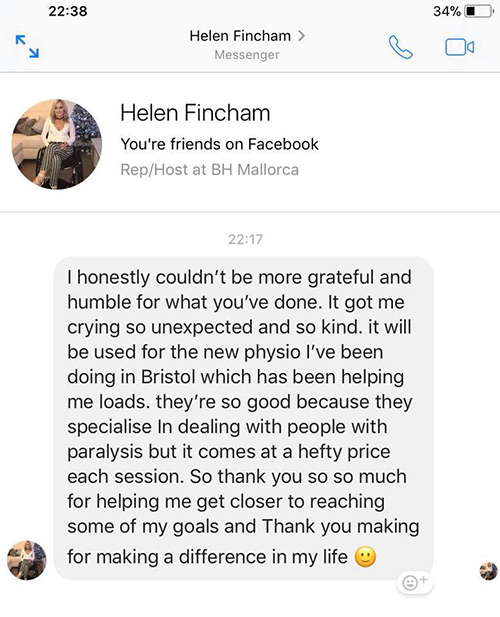 This has left Helen permanently Paralysed from the chest down and wheelchair bound, with restricted movement in her arms and hands. The family are desperately trying to raise money to purchase equipment, including a wheel drive power assist for manual wheelchairs, which alone costs over £5000 in order to give Helen some independence. GAC have agreed to help support Helen and her family by way of this year’s New Years Eve Charity Fishing Competition. Many thanks to Club member Rob Crewes-Rees for nominating this very worthy cause. As usual, this competition will be held on Treoes Pond on New Year’s Eve and is open to all Club Members. Entry will be £10 per senior Angler and £5 per Junior. Further details for booking places and timings will be advertised at a later date on the Club Web Site and Facebook page. 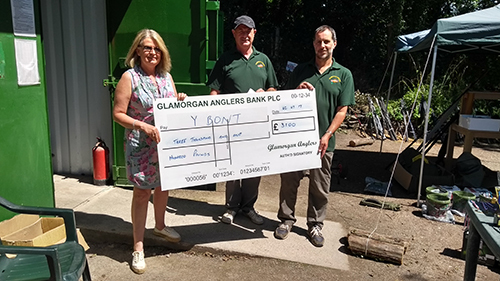 In recent years there have been a number of unfortunate incidents between GAC fishing club members and people rowing, or training and supervising rowers, on the River Wye between the Rowing Club at Monmouth and Mally Brook Limit. GAC committee has been contacted to help to try and identify possible reasons for these incidents and seek a solution to avoid similar occurrences in future. These incidents reflect badly on both organisations and must cease. It appears most problems occur because the rowers are facing away from their direction of travel, often working hard upstream to gain momentum, and moving more rapidly downstream with the current, and have little opportunity to see the fisherman’s line and even less opportunity to take avoiding action. When viewed from the river our members are extremely hard to see due partly to the trees and vegetation and partly to the fisherman’s position some distance away from the river edge. The Rowing Club are aware that when a baited line has been carefully positioned at some distance from the bank at a known swim, the fisherman cannot simply withdraw his line without losing the benefit of his earlier hard work and is therefore, with good reason, reluctant to do it. Given these circumstances it is clear that both groups need to take on board the limiting factors affecting each group and at times of peak activity endeavour to minimise the possibility of confrontation. Rowing peak times are 0700 to 0800 weekday mornings and 1400 to 1800 weekday afternoons. Weekend peak times are 0800 to 1200 and 1300 to1500 Saturdays. Sunday 0900 to 1100hrs. Issues of disturbance between anglers and the powered metal training boats have also been discussed with the Rowing Club to reducing confrontation. Any angler who experiences what is believed to be deliberate fouling of fishing lines must make a record of location, time, and any other relevant factors (suggest a photograph) and report the incident to the Head Bailiff as soon as possible or any Club official. No form of retaliatory action is acceptable. The Club is looking for a worthy cause to support for the annual New Year Eve charity comp at Treoes this year. If any member knows of either an individual or a worthy cause we can support, please let the club secretary know. In past years we have supported the Stroke Association Wales, helped finance an Electric Wheelchair to help a young lady get to University and many other causes. I am sure one of you will have this year's cause for us. The weekend 48 hour Charity Event is done for this year. We have raised so far £3600. £500 We donated to Marie Curie Cancer Care - Holme Towers and £3100 to Y Bont Childrens Centre. Thanks to everyone who supported us over the weekend and very well done to the Juniors, who for the most part, showed us oldies how to catch fish. Fly Fishing Demo - Volunteer Needed. St Fagans Castle have asked if any Club Member or Members would be interested in providing a Fly Fishing ‎demonstration and a short teach in on the afternoon of July 2nd. If anyone can help, the Club has Fly gear for the teach in. Please contact the Club Secretary if you are able to assist. 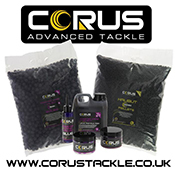 One rod rule at barry and bait amount for carp comps and 48 hour event. Following last night's Committee meeting, where the 1 rod rule at Barry ponds was discussed in detail as to a trial 2 rod allowance for the winter. The 1 rod rule will remain in place for both Summer and Winter with no alteration to the existing rule. At Carp competitions and the 48 hour event a maximum of 3 kg of bait which includes hook bait in any 24 hour period will now be enforced on all club still waters. Also spodding is not allowed at thes events. The next Junior Competition will be held on Saturday the 10th of June at Llantrythid. This will be a Junior 24 hour competition and is open to all Club Junior Members. The rules are simple: Each Junior must be accompanied by a Senior Club Member for the duration of the Competition. Book in at 08.00 and fish 09.00 to 09.00. Turn up, book in and fish. Normal Club rules apply. For booking a place please contact Andy Hoare. The disabled Match on the 15th of June is cancelled due to clash With other club commitments. The winner of the Wye cup your club chairman Richard Turner with his Trophy presented at the AGM. We have received a complaint this morning from the farmer who lives in the house next to our access gate at Llantrythid. He explained the there are a number of members who, when opening the gate have radios turned up loud , that disturb them especially very early in the mornings. Could everyone please ensure that your car radio is turned down or even better turned off when accessing the gates. The second complaint is regarding one or two members who drive at excessive speed down the track to the pond, please ensure you stick to 5mph when driving down to the pond. This year’s AGM will take place on Thursday 18th May at the National Sports Centre for Wales, Sophia Gardens, Cardiff. 7.15 Start. All Club members are most welcome to attend and it would be good to see some new faces. This is your opportunity to ask questions or suggest ideas on the running of the club. The Mixed Pairs Competition has been postponed to a later date. Hiya everyone here are the results of the disabled match on the 27th April at Treoes it was a fab day seeing everyone catch despite it being blooming cold, winner was Peter, runner up was frank and the biggest fish prize went to our very own Ricky. It was fab seeing everyone again for our first match of the year hope to see you all at the next on the 18th May, big thanks to all who came to help out. As from December 2017, for the 2018-2019 season and thereafter, GAC permits will carry a photo of the member and a number of the key issued to that member (if any). In order to set up the database in preparation for this changeover would all members** [see below] please submit a photo. Please do this early. ASAP. Thank you for your cooperation. Mick Roberts Membership Secretary. [**Excludes those who have recently submitted a photo [in the last two years or so] for the NFG or BAILIFF cards]. Jayden Rowley with a 10lb 8oz mirror carp from sues pond Caught in ledgered sweetcorn. The GAC bonus ball draw on 1 April will be cancelled as there is not enough support. If any members would like to enter the 8th of April draw please contact Darren Hatchett. Would all Club Members please be aware that Pike Fishing on Club Still Waters closes on the 31st March and resumes 1st October. A local bait shop offering 10% off for Glamorgan angler members. Does anyone member fancy fishing for wales in the international carp squad. If so click the links below for information and application form. This year NRW no longer charge for Junior Rod Licenses for 12 To 16 year olds. You still need to apply on line at www.gov.uk and search fishing license. Fill in the application and they will issue a reference number. This is the license for Juniors. No physical license will be issued. In 2016 Cardiff’s Environmental Scrutiny Committee set up the Restore Our Rivers inquiry to look into the problems facing local rivers and to identify how these could be resolved. 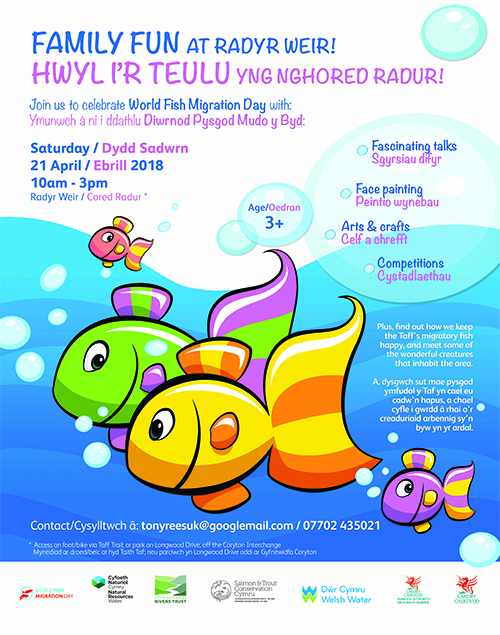 To deliver this work they drew in the support of Dwr Cymru / Welsh Water, Natural Resources Wales, Keep Wales Tidy, South East Wales Rivers Trust, Glamorgan Anglers, Cardiff Rivers Group and Groundwork Wales. If you interested in taking part please contact Richard Bowen on 02920 873606 or email him at rbowen@cardiff.go.uk. Equipment for the litter pick will be made available on the day and the event will be supported by Keep Wales Tidy. Those taking part should meet in the car park for Grangemoor Park between 9:45am and 10am – the car park is next to the roundabout on Dunleavy Drive. 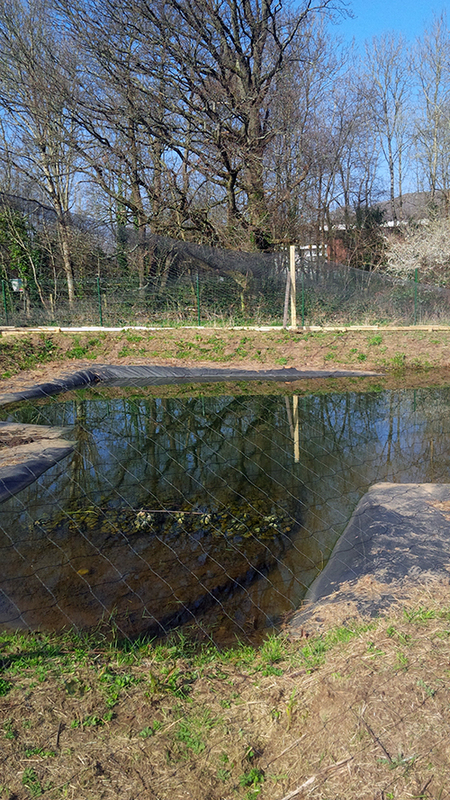 The photo below is the finished stock pond with otter proof fences and protective net covering. All that is now required is the solar pumps and auto-feeders feeders. With Spring on its way, next month we see our Club Competitions starting up. Would all members please be aware that the Pike Season ends March31st. As there seems to be quite a few members who are interested in Pike Fishing, prior to the Pike Season reopening 1st of October, the Club will organise a Pike Fishing ‎ teach in, to allow members wishing to give Pike fishing a go the chance to see the correct way to fish for Pike safely. New!!! Match the bonus ball from Saturday's national lottery and WIN A £30 TACKLE VOUCHER! For more information how to enter and rules click here for pdf file or here for word doc. 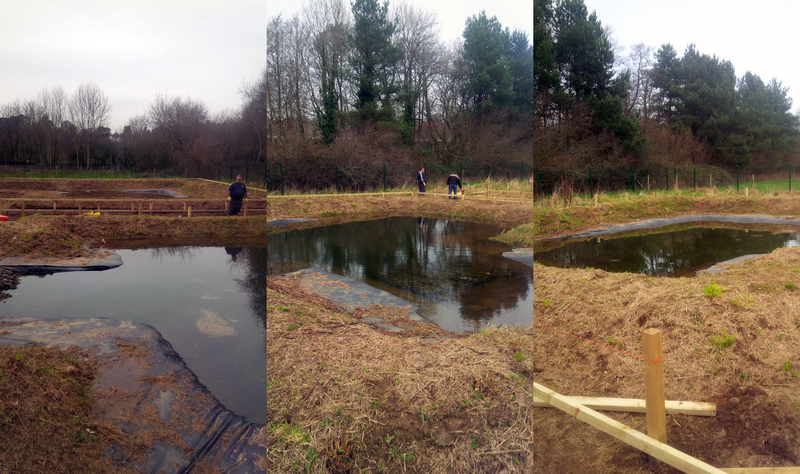 The Taff Roach Project breeding ponds are almost completed. Brian and Andy are finishing off the otter proof fencing and will then cover the ponds with a Cormorant proof net. It is hoped that we can have the first spawning brood stock later this year. Would all members please be aware that Treoes will be closed from 1st March to 31st March, (both dates inclusive). Are you interested in a Fishing holiday in France? Then check out this venue in Haute Vienne/Charente border. It comes with accommodation so no bivvy needed. The Committee has discussed the predation issue at Sues Pond, Barry, which we feel that not closing the Pond in April as was originally planned, will allow members on the water to deter the Cormorants from feeding on the pond constantly. Therefore SUES POND WILL REMAIN OPEN. Treoes Pond will be closed to Members from 1st March 2017 to 31st March 2017 . The Pond will re-open 1st April 2017. Groes Faen – Bishops Pond. Bishops Pond will be Closed Friday 10th Feb 17 for Maintenance Work. On Sunday 05 Feb, one of our Club members/Bailiffs had his van broken into at Pyscodlin Mawr Pond and a great deal of fishing gear was stolen. The member was approached by what he described as Eastern Europeans, who initially asked what time he was fishing to. When the member loaded up his van and returned to the pond for his unhooking mat, the vehicle was broken into and the tackle stolen. 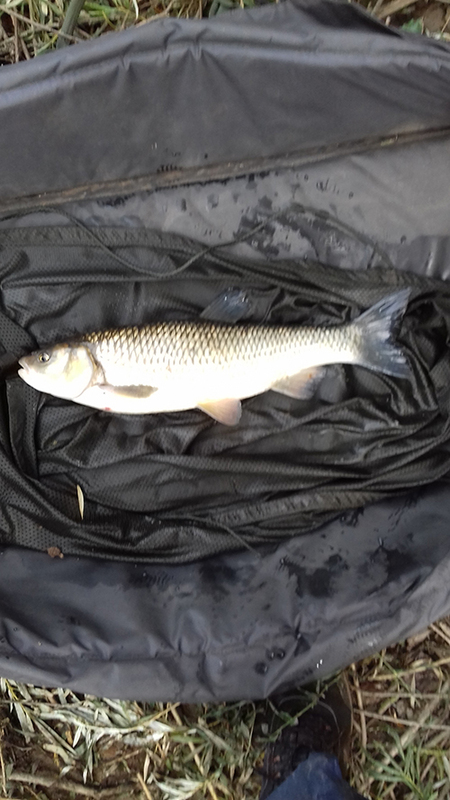 We have since been told that another member was approached again by what is described as Eastern Europeans at Groes-Faen ( Bishops Pond) and asked a similar question whilst fishing. If you are approached by these people, please contact the Head Bailiff immediately, as we believe these individuals are also poaching our waters at night. The Head Bailiffs contact number is on your Club License. If anyone is offered fishing gear that you think could be stolen, again please let us know. There are only 3 places left on this year's 48 hour event. If any member is interested and would like to take part either email: secretary@ glamorgananglersckub.co.uk or call 07804 097857. Juniors are welcome if accompanied by a senior club member. A good local fishing tackle shop that has been endorsed to us by some of our members. WITH FREE SHIPPING ON ALL ITEMS. Click the image below to view the website.